Description: After the fall of Atlanta, Hood moved northward to threaten the Western & Atlantic Railroad, Sherman’s supply line. He attacked a number of minor garrisons and damaged track during October 2-4. Sherman sent reinforcements—John M. Corse’s brigade—to Allatoona just before the Rebels attacked there. 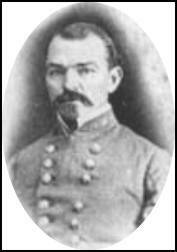 Maj. Gen. Samuel G. French’s Confederate division arrived near Allatoona at sunrise on the 5th. After demanding a surrender and receiving a negative reply, French attacked. The Union outer line survived a sustained two and a half hour attack, but then fell back and regrouped in an earthen “Star” fort of Allatoona Pass. French repeatedly attacked, but the fort held. The Rebels began to run out of ammunition, and reports of arriving Union reinforcements influenced them to move off and rejoin Hood’s force. 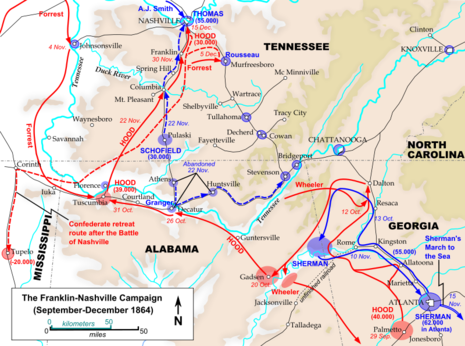 The Battle of Allatoona, also known as Allatoona Pass, was fought October 5, 1864, as part of the Franklin-Nashville Campaign of the American Civil War. After the fall of Atlanta, Lt. Gen. John Bell Hood moved the Confederate Army of Tennessee northward to threaten the Western and Atlantic Railroad, Maj. Gen. William T. Sherman's supply line. Along the way he attacked a number of minor garrisons and damaged track from October 2 to October 4. Sherman sent a reinforcement brigade to Allatoona commanded by Brig. 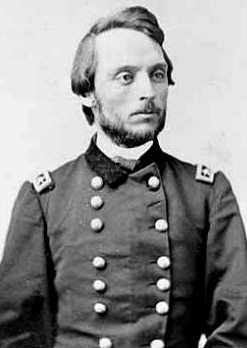 Gen. John M. Corse before the southern army arrived. The saying "hold the fort" originated from Sherman's signal message to General Corse during to the battle. Maj. Gen. Samuel G. French's Confederate division arrived near Allatoona at sunrise on October 5. After demanding a surrender and receiving a negative reply, French attacked. 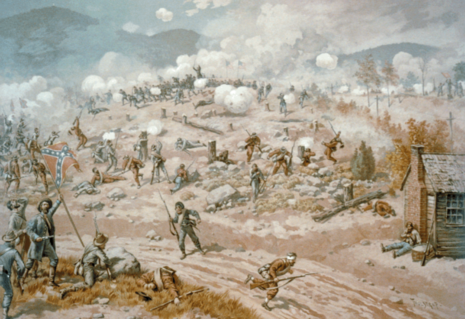 The Union line survived a sustained two and a half hour attack, but then fell back and regrouped in an earthen star fort on top of Allatoona Pass. General French repeatedly attacked the position, but the fort held. The Confederates began to run low on ammunition, and reports of arriving Union reinforcements influenced them to move off and rejoin Hood’s force.